Analyzing the costs. 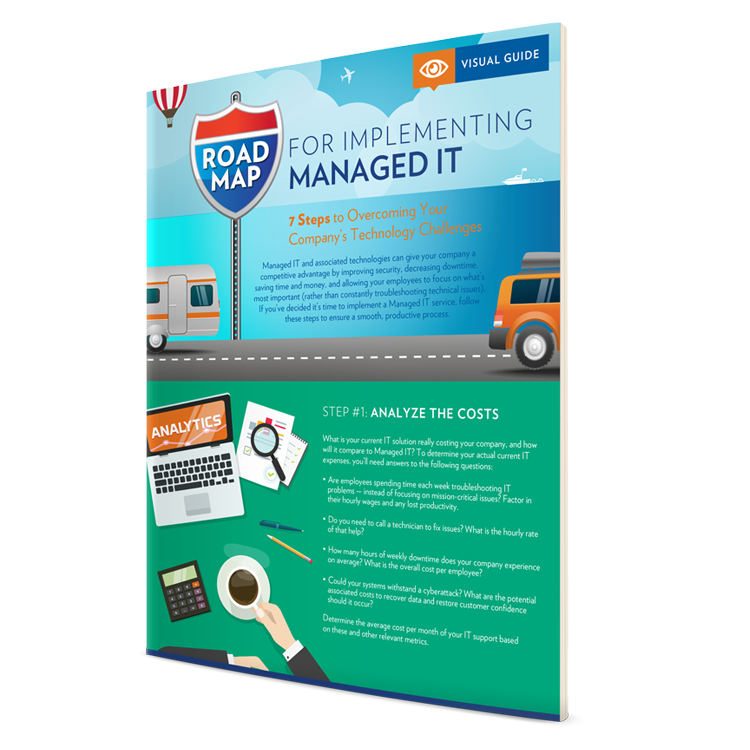 What does Managed IT cost compared to your current process? What factors should you look at? Identifying a Managed IT partner. What kinds of services and capabilities should you look for? Taking an inventory. What physical and virtual IT assets do you own and how will they fit in a Managed IT program? Performing a needs analysis. What are your company’s needs, based on your unique business situation and current inventory? 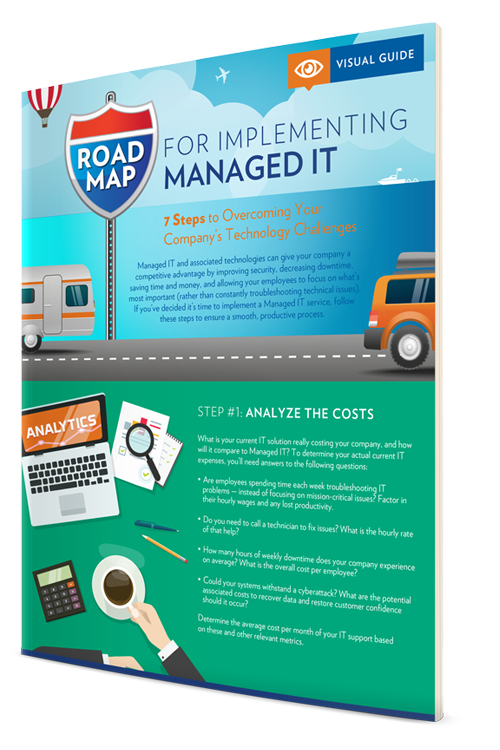 Fill out the form to get your copy of our Roadmap for Implementing Managed IT infographic as the first step in ensuring a secure and optimized system.